The diverse academic, industrial, and professional backgrounds of the full-time and adjunct faculty allow the Computer Science Department to offer a wide range of courses for our students. In addition, the research programs of full-time faculty enrich the intellectual life of the college and create opportunities for graduate and undergraduate students. The administrative and computing staff play an essential role in the Computer Science Department's mission of providing a high quality educational experience for our students. There are several mailing lists and organizations for current undergraduate and graduate Computer Science students. 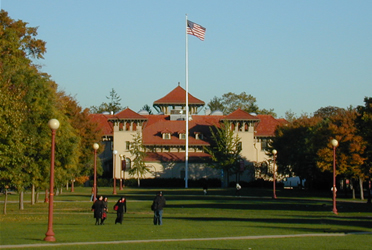 The Quad is the crossroads of campus, and it is the site of the Queens College commencement ceremony each May. The Department of Computer Science is very proud of its alumni, many of which have gone on to exciting careers in industry and academia. We want to keep in touch.